At 5th Avenue, we can visit The Metropolitan Museum of Art. 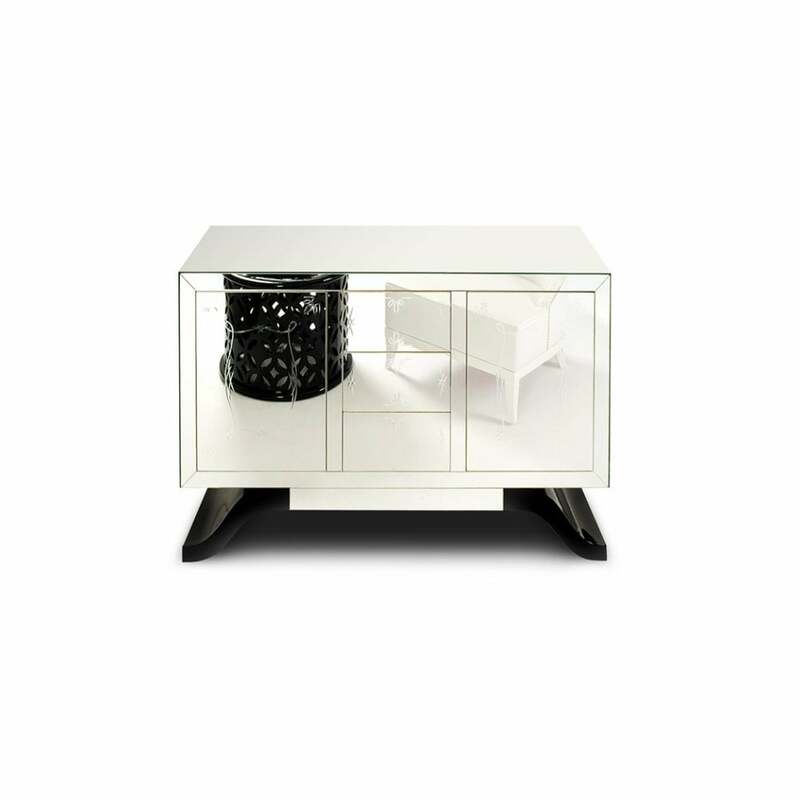 Boca do Lobo pays a tribute to this culture centre by creating Metropolitan, a sober yet elegant sideboard. This piece has a wood body and the front of the cupboard is in cut mirror. The exterior of the sideboard has two available finishes, black glass or grey mirror, with refined craftsman work on the mirror. The interior is made from solid wood available in two finishes (mahogany or oak). The legs are in wood and come in four finishes (white, black, silver or gold). Poplar venner, hand carved mirror, lacquered wood, glass.